Steampunk is more than just a book genre, it’s a whole movement, style, alternate history. It’s fascinating. But, we are focusing on the definition of what constitutes a steampunk book is. Steampunk is a form of speculative fiction where the author grabs Victorian England packs it full of steam-powered technology and then writes about how they think the world would develop from there. Most steampunk is set in the Victorian era, so many of the books you will find will be set in the 1800s. It is set in an alternative earth where technology evolved or is evolving from steam-powered technology. If it is set in a different world but has steampunk elements to it, this will probably either a fantasy or young adult. The setting will have a very “Victorian England” feel, although it doesn’t have to be set in Victorian England. Romance isn’t necessary in a steampunk book, it’s much less defined by the characters within the books and more about the setting and the technology. If you have a book where technological progress is based on steam-powered machinery, especially if this is set in the Victorian era then this is likely to be a steampunk novel. Steampunk also has a certain…feel to it, something which I am sure to make a mess of trying to describe! When I think hard about the steampunk novels I have read, one word comes to mind: dashing. They are all rather dashing and stylish. Maybe even…swashbuckling. They have taken that Victorian era curiosity and drive and distilled it into a genre. 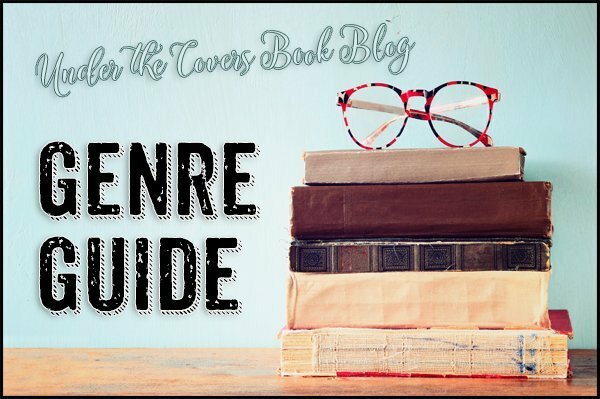 Steampunk is perhaps the genre that we as a whole at Under the Covers have read the least of, which is why this genre guide is so short! But, that doesn’t mean that we don’t enjoy it, steampunk is a vast genre that’s growing all the time and we have taken a nibble at the romantic side of it. It’s a genre that’s full of imagination and style and something we do intend to read more of it in the future. What are your favourite steampunk books? I haven’t tried many steampunk books but I did read Soulless. This genre is hit or miss for me. I do like the parasol protectorate series and the girl in the steel corset. I also enjoyed time thief by katie macalister.